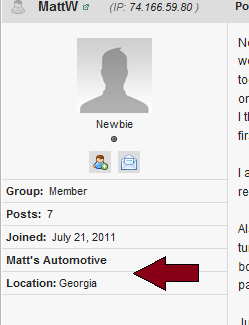 We have updated the topic mini profile to include the US state or location. We have removed the position and website fields, which can be viewed as with all other information, on the member's profile page. Screen shot below.